How to Improve Your Finances, Business, Health and More with TFT-Adv Practitioner Paul Emery alongside Brian Tracy, a 3 time EMMY Award Winner and other experts AND Help the ‘From Trauma for Peace’ Campaign! Since my early teens and throughout most of my life I suffered from what my doctor described as a ‘Social Phobia’. I often experienced high levels of anxiety and fear, often for no consistent, apparent or logical reason. For decades I searched for an answer to overcome this problem. As the years passed I just battled on with life whist studying everything I could from hypnosis, counseling, NLP and EFT in the hope they would help. However, with all that they promised and my success helping others – nothing worked for me! That was at least, until I finally focused on the original tapping method of TFT and had a VT consultation with Roger. He identified why nothing previously worked for me. Toxins! I cleared those identified following his instructions and repeated some TFT sequences. Miraculously within a very short while I started to feel less anxious and fearful, to such an extent that I started to live a calmer, fuller and happier life. Since then I have often appeared on live TV with virtually zero anxiety! 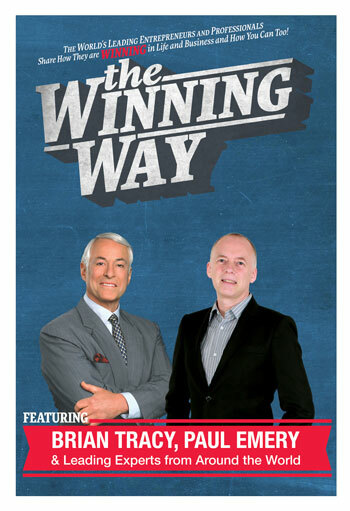 Recently I was asked to co-author a book called, ‘The Winning Way” with one of my mentors famed author – Brian Tracy, alongside 3 time EMMY Award Winning Director Nick Nanton and other leading experts. At 440 pages the book contains lots of useful nuggets of advice, tips and information on a wide range of topics, from improving your finances and business to health. My contribution was a chapter called ‘Winning Without Worry’. It outlines my battle with anxiety and how I eventually beat it thanks to TFT. Part Two of my contribution includes a segment on how to perform a ‘self-Havening’ treatment with a link to some free exclusive videos. ‘Havening’ is a new psycho-sensory technique which I often incorporate with TFT into my treatments with increasingly great results. I also outline a breathing technique which has been proven to raise the anti-aging hormone DHEA, as well as balance HRV and enable you to sleep better and become less reactive. I am delighted to say that the book has become a huge success and an Amazon Best-Seller! In September I Visited Hollywood and was inducted into the ‘National Academy of Best-selling Authors’ for which I picked up a ‘Quilly’ Award. How to help the ‘Trauma to Peace’ campaign. If you were to buy the Hardback version of this best-selling book it would cost you $19.95. The Kindle version $11.95. However, I would like to give you all a chance to own an exclusive digital version of this informative and entertaining book for a small donation to the ‘From Trauma to Peace’ campaign of only $5.95. The price of a large latte! If you donate $29.95 or more, you will receive my digital book and the DVD From Trauma to Peace. To donate, simply click here. This new feature of our magazine helps authors promote their TFT related books and at the same time raise funds for our trauma relief work. 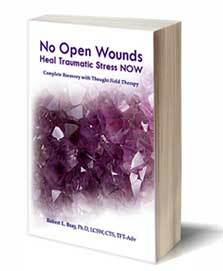 This month, TFT Foundation board member Dr, Robert Bray has offered to donate 100% of the proceeds from the sale of his latest book “No Open Wounds – Heal Traumatic Stress NOW – Complete Recovery with Thought Field Therapy” to the foundation. Unlock the grip of emotional stress, pain and fear simply, safely and instantly. Thought Field Therapy® helps you to make choices that allow you to live on purpose and fully connected to health, love and joy. Mary Lou has done a superb job of not only sharing her courageous journey of transformation, but she shares many of the tools she has found along the way. This book is a must read, not only for all of us that share the title “baby boomers”, but all who are struggling to embrace change, survive the economy and live a full life in spite of what happens to us. 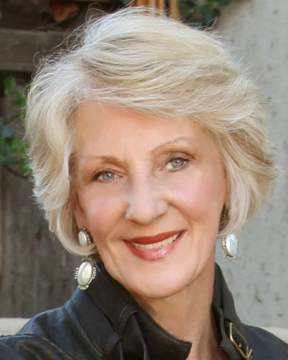 –Joanne Callahan, MBA President , Callahan Techniques, Ltd.
All I can say is, “WOW!” You have provided a book from which both the general public can benefit, as well as practitioners who are using Thought Field Therapy! The book includes strategies that people who have been suffering from traumas can use improve their quality of life. Dr. Robert Bray orchestrates his compelling case histories with theoretical and practical information to create a step-by-step guideline for the treatment of trauma. He elaborates on his NOW model utilizing Thought Field Therapy and illustrates it well with deep personal, crisis, and trauma work experiences. 100% of the book’s sale is donated to the TFT Foundation. To purchase the book, select the donation below. Shipping is included. California Licensed Clinical Social Worker License number 10054. April 1983. This month, TFT Foundation board member Suzanne Connolly has offered to donate 100% of the proceeds from the sale of her latest book to the foundation. Recommended for those previously trained in TFT. Dr. David M. Hawkins, M.D., Ph.D.
Director of the Institue of Advanced Spiritual Studies Coauthor of Orthomolecular Psychiatry with Nobel Prize winner Linus Pauling, M.D. 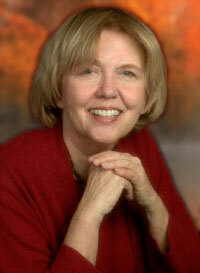 Founder and Developer of Thought Field Therapy. This month, TFT Foundation board member Mary Lou Dobbs has offered to donate 100% of the proceeds from the sale of her latest book “Repotting Yourself” to the foundation. It is a very timely topic in today’s world. Mary Lou Dobbs, founder and director of Executive Benefits Strategies, Inc. sells high-end executives and owners non-qualified retirement plans and helps them create living buyouts for their business exit strategy. She lives in the US.